A 60W motor powers a two-way rotating cone to extract as much juice as possible from your fruit. The generous, 1 litre jug is transparent, so you can easily see how much juice you have made, and it has a spout for easy pouring. When you're done, the cone, filter, dust cover and jug can all go straight into your dishwasher for cleaning. 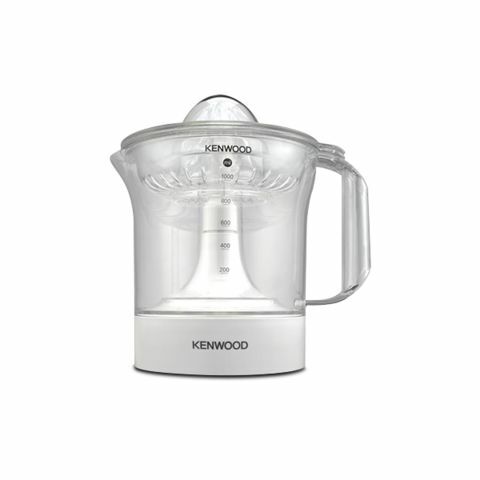 For a fresh start to every day.About the Citrus Press JE280:The elegantly designed, Citrus Press JE280 will look great in your kitchen and is excellent for juicing all types of citrus fruits.ConvenienceA 60W motor powers a two-way rotating cone to extract as much juice as possible from your fruit. The generous, 1 litre jug is transparent, so you can easily see how much juice you have made, and it has a spout for easy pouring. When you're done, the cone, filter, dust cover and jug can all go straight into your dishwasher for cleaning.